MAPLE PLAIN, Minn.–Protolabs has purchased a new manufacturing facility in Brooklyn Park, Minnesota, the latest step the digital manufacturing company has taken to expand its prototyping and low-volume production capacity. The company has also recently invested in additional manufacturing equipment for both its American and European facilities to support business growth, Protolabs said in a press release. The new 152,000-square-foot Brooklyn Park facility will be expanded by another 50,000 square feet, and used primarily for CNC machining. 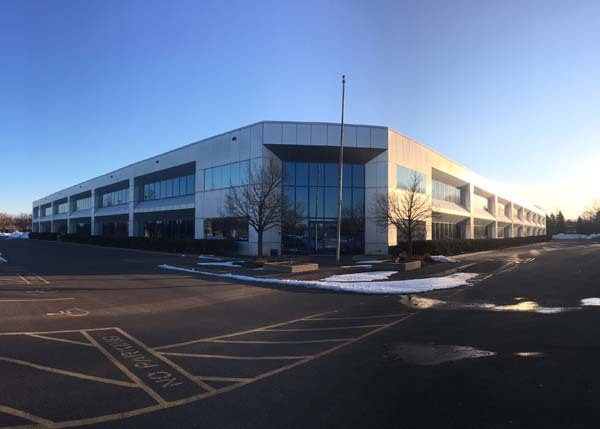 About 225 jobs at Protolabs' Plymouth, Minnesota, plant will relocate to the Brooklyn Park building, enabling the company to expand the injection molding capacity in the Plymouth facility to support increased customer demands. The new Brooklyn Park plant is scheduled to become fully operational by the end of 2018. Beyond the new machining facility, Protolabs continues to expand its manufacturing capacity with the addition of new equipment. Over the past 12 months, the company purchased more than 75 CNC mills and 25 injection molding presses in the United States. Additionally, Protolabs' European operations purchased 25 CNC machines and six injection molding presses that are now in use at the company's facility in Telford, U.K. These investments expand Protolabs' worldwide manufacturing capacity to more than 1,000 presses, mills, lathes, press brakes, laser cutters, and 3D printers, the company said. "We are excited about the growth we've experienced in machining," said Rob Bodor, vice president and general manager, Americas, in the press release. "Opening an additional facility in Brooklyn Park, along with investing in more machining and injection molding equipment around the world, demonstrates our ability to evolve and increase the services we provide to our customers as we capture share in this dynamic market. We helped over 35,000 product developers last year, and this added capacity will provide the scale to continue serving companies from innovative startups to Fortune 100 companies and everyone in between." CNC machining, in particular, continues to grow industry-wide. Protolabs' machining service, for example, grew more than 27 percent in 2017 to over $100 million, the company said. This overall capacity growth illustrates the continuing digitalization of manufacturing processes that has made the economics of on-demand production possible, according to Protolabs. As a pioneer in this manufacturing technology, Protolabs said that it has shown how significant supply chain benefits can be realized when procuring parts from a supplier using a digital approach. Protolabs (www.protolabs.com) calls itself "the world's fastest digital manufacturing source for rapid prototyping and on-demand production." The technology-enabled company produces custom parts and assemblies in as fast as one day with automated 3D printing, CNC machining, sheet metal fabrication, and injection molding processes. Its digital approach to manufacturing is said to enable accelerated time to market, reduces development and production costs, and minimizes risk throughout the product life cycle.